Every cancellation is subject to a penalty of 10% of the total reservation cost plus the non-refundable registration fee. If you cancel your reservation more than 30 days prior to your arrival, you will pay only the 10% plus the registration fee. Cancellations made within 30 days of your arrival are non-refundable, cannot be applied to a future stay, and are subject to a cancellation penalty equal to 100%. This policy affects all reservations except for Christmas/New Year’s Holiday, where cancellation is required 60 days prior to arrival. No refunds for early departures will be issued. Cancellation policy is enforced so we strongly advise purchasing travel insurance. To confirm a reservation, we require half of the rental fee total no more than one week after the reservation has been made. The final payment (balance plus tax) must be received 30 days prior to your arrival (60 days for Christmas week reservations), after which time payments are non-refundable. Cancellation notices received 30 days or more prior to scheduled arrival (60 days for Christmas) will result in a full refund less10% of the full reservation cost, plus the non-refundable registration fee. We highly recommend that you purchase travelers insurance, especially when traveling during hurricane season, June-November.For more information about trip insurance, you can contact CVOA (airline wholesaler offering trip insurance), or you can contact CSA at www.tripinsure.com . Damage and Liability: Lavender Hill Suites (LHS) will collect a security deposit, which will cover accidental damage/losses up to $500. LHS will accept a damage security deposit check for $500 made payable to LHS and received and cleared at least 30 days prior to arrival. (If payment is made using a credit card no security check deposit is required/the credit card number is the security deposit) We will refund the mailed check - 30 days after departure if no damage occurs. We remind guests that we allow occupancy of 2 persons in a one-bedroom and 4 persons in a two bedroom condo. Occupancy by additional persons must be approved prior to arrival, and an additional occupancy fee will apply.Any damages to the premises or its contents are the responsibility of the guests. The premises must be used only by the number of guests listed on the reservation confirmation. Please note that all of our units are non-smoking. Any function held by the customer such as a party, wedding, reception, etc.must have the expression written consent of management and may be subject to a fee between $500-$2000 per function in addition to the regular cost of the rental. Liability Release:Guests are advised that personal items lost or stolen are not the responsibility of the owner or rental agent.Guest will have a set of keys and will be solely responsible for locking of the home and the safe keeping of their personal valuables during their visit. Agent and Owner assume no responsibility for insuring that the residence is locked and secured during the period of occupation by Guests. In addition, Agent andOwner shall be held harmless from all claims or causes of actions arising from the rental and occupation of the residence by Guest. In the event the home reserved becomes unavailable due to its sale, Agent will make every effort to re-reserve a similar property. If similar accommodations cannot be found, a full refund will be given to the guest. In addition, I understand that agent and or owner cannot be held responsible for power or cable TV outages, water or pump malfunctions, equipment failures or other temporary inconveniences common to seaside island communities.I have read the above and I accept the conditions of the rental agreement, cancellation policy and liability release, and I understand that Lavender Hill Suites strongly recommends the purchase of travelers insurance. In addition I agree to adhere to all the rental policies published on the Lavender Hill Suites website. I agree with all of the contents of my confirmation. AGE RESTRICTIONS: Guests must be a minimum of 21 years of age to reserve a room. Children under 5 years of age are not allowed to stay. Child proof of age required prior to check-in. Minimum Night stay Requirements: We have a 5 night minimum stay requirement during High Season. 7 night minimum stay requirement over Christmas/New Year Holiday and Carnival/4th of July. 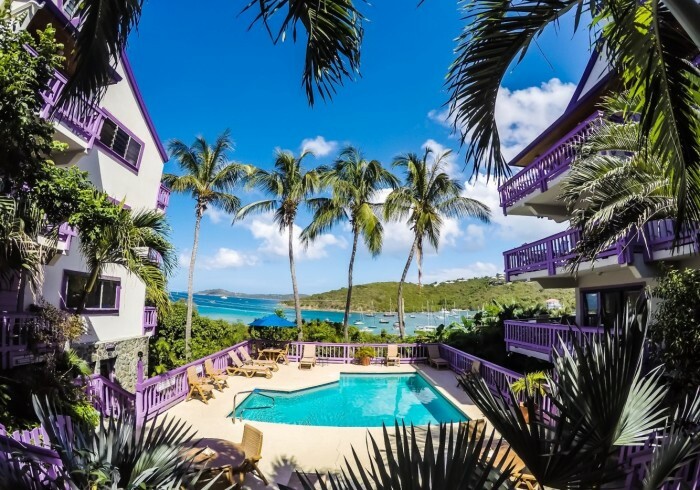 I agree with the terms and conditions of Lavender Hill Suites Ltd.
For the vacation of a lifetime, come to LAVENDER HILL SUITES for the St. John vacation rental where beautiful memories are made. With affordable one and two bedroom condominium suites, you’ll find the comfortable amenities, private decks, and convenient full kitchens that make all our suites so popular with savvy travelers. Managed by the owners themselves, these aren’t your average St. John condo rentals. These…are special. Perhaps it starts with the blue water that sparkles in the sunshine outside your window. Or maybe it’s the lush foliage from the fragrant trees and flowers that grow everywhere on the island. Explore and discover, while staying at the finest suites St John has to offer. Competitively priced, impeccably maintained, these are the vacation rentals you’ll want to book year after year for your own family. Call us today, and let LAVENDER HILL SUITES help you plan your unforgettable getaway. LAVENDER HILL SUITES is owner run and managed. When you talk to us, you’re talking to the owners!